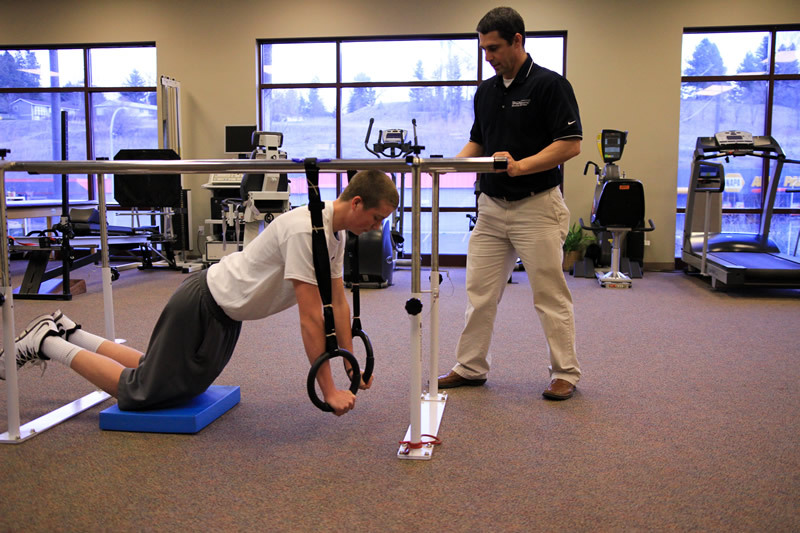 Proformance Physical Therapy – To provide individualized, personal and professional physical therapy services. 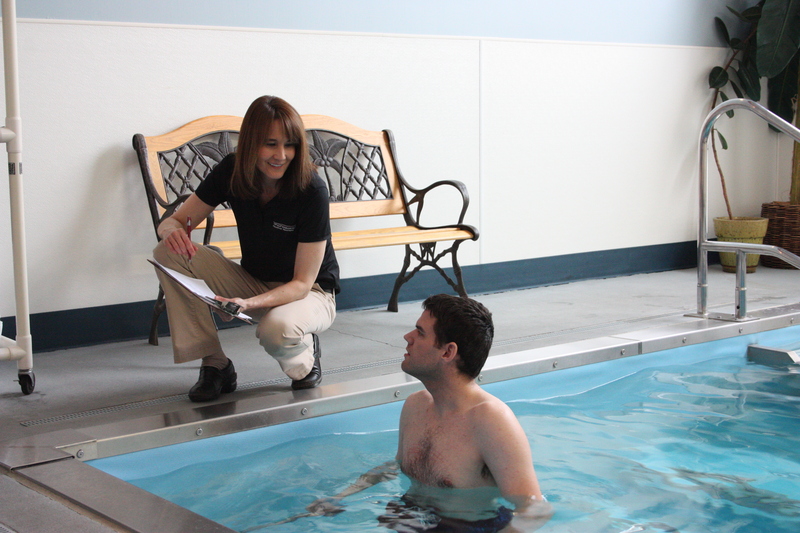 Providing the Best Individualized, Personal and Professional Physical Therapy Services. ProFormance Therapy is the best! If you have lower back problems, see Laura Vannucci and her team. I highly recommend ProFormance Therapy. The staff is friendly, caring, and knowledgeable, and the facility is modern and well-equipped. Appointments are on time and easy to schedule, even if you need an "extra" session on short notice. The exercises they recommended worked for me and solved my problems. What more could you ask for? Great place! My husband and I have been patients many times over the last 6 years. My husband pulled groin muscles which caused him to limp. 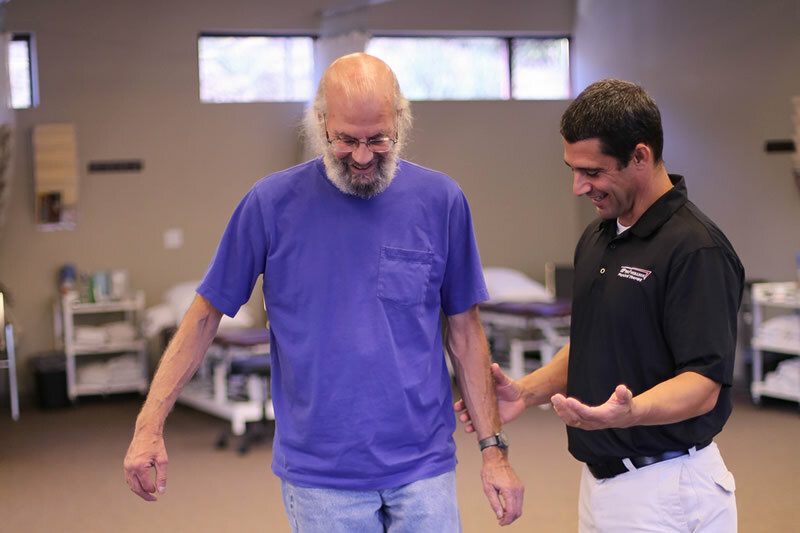 Within 2 months of care at ProFormance Physical Therapy he regained strength and the limp went away. I have had carpal tunnel surgery on both hands. The care I have received has kept the carpal tunnel from returning as well as helped with arthritis pain in my hands. I have had 3 total knee replacements. The last knee replacement had some serious complications. 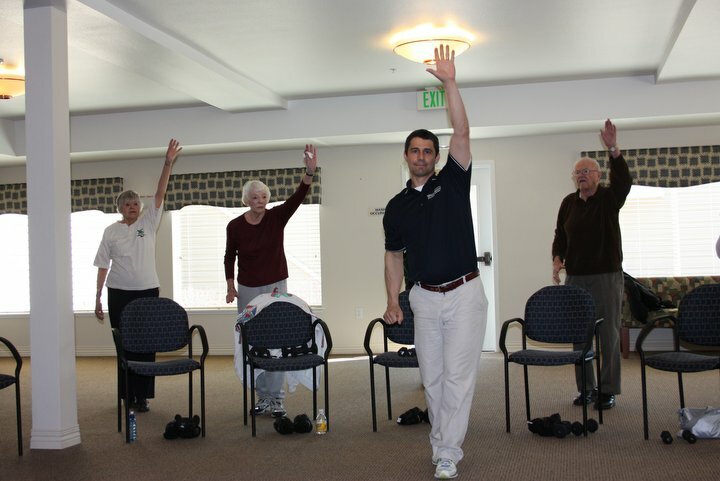 Troy helped rehab the flexibility and strength in both legs. I have been in several auto accidents which have caused neck and back injuries. Over the years I have received care from Laura to re-align and strengthen my neck and back. 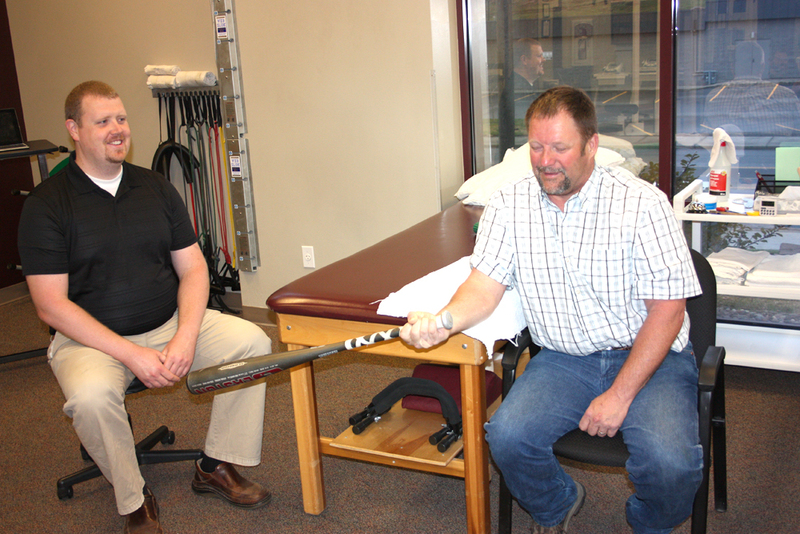 During many visits I have worked with several therapists on the team. The care and skill of the staff is excellent. The office is well run and I have always had my insurance claims filed and paid in a timely manner. I feel anyone in need of physical therapy would find satisfaction at ProFormance PT. When I heard the news that I had torn my rotator cuff, the last thing I wanted to do was to endure physical therapy. When I heard the news that I had torn my rotator cuff, the last thing I wanted to do was to endure physical therapy. Brandon Cridlebaugh at ProFormance Physical Therapy was not only professional and skillful in creating a routine for my therapy, he was also very kind and gracious as I stumbled my way through the grueling exercises that would eventually lead to complete restoration of my shoulder. The overall environment there created a sense of well-being that cause me to want to push through the pain, and offered a feeling of confort as I noticed that everyone there appeared to be silently cheering for me behind their quiet, approving smiles. I often left there wondering what would happen if I had wanted my shoulder to recover as much as the entire team there wanted that for me. I have the utmost respect for this team of physical therapists that can convince me to keep pushing through the pain and find laughter in the midst of it. When it comes to physical therapy, I can think of no other place I'd rather go in these Palouse hills. So, thank you Brandon and ProFormance PT for creating an environment for physical therapy that caused me to look forward to keeping my appointments and working hard to meet my goals of recovery. 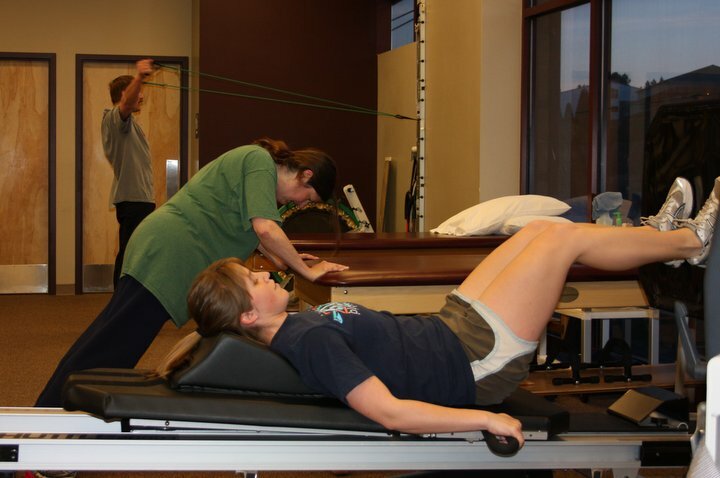 I have been to ProFormance Physical Therapy several times over the years. The last time was May 2013. I fell at home while planting a tree; I am 63 years old. I messed up my back, ribs, and side muscles. My main person working on me was Brandon; he was very professional, diagnosed my problems, always asked on scale of 1 to 10 what pain I was in, and explained all the exercises very plainly and how they were healing my body. They are a very courteous and friendly staff; they made appointments to suit my time frame, sent reminder e-mails and calls to let me know when my appointment was. Always called back about 1 week after last appointment to check on how I was doing. They also treated me with hot, cold, and electrodes, all of which really helped me out. 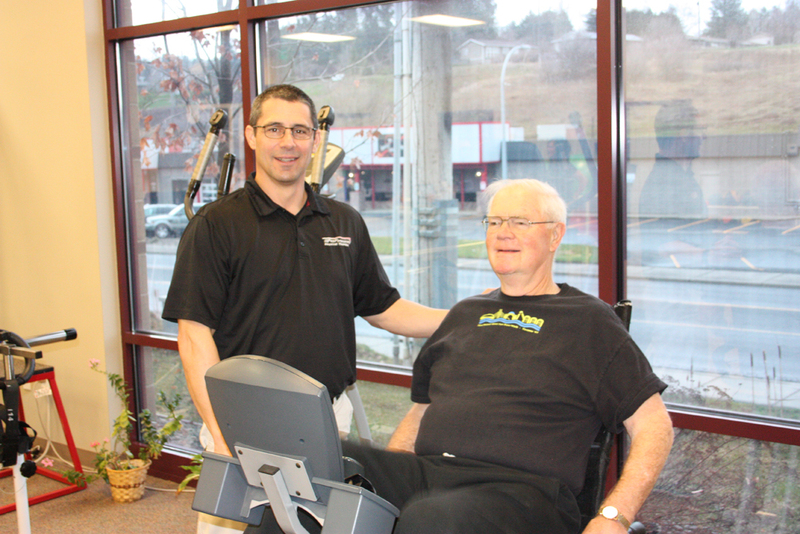 I would recommend ProFormance Physical Therapy to anyone and I do – very friendly, knowledgeable and experienced people. Sometimes being in front of other people in shorts and T-shirt while crippled can be intimidating – I did not feel this way at ProFormance. I felt like I was with family – very comforting. 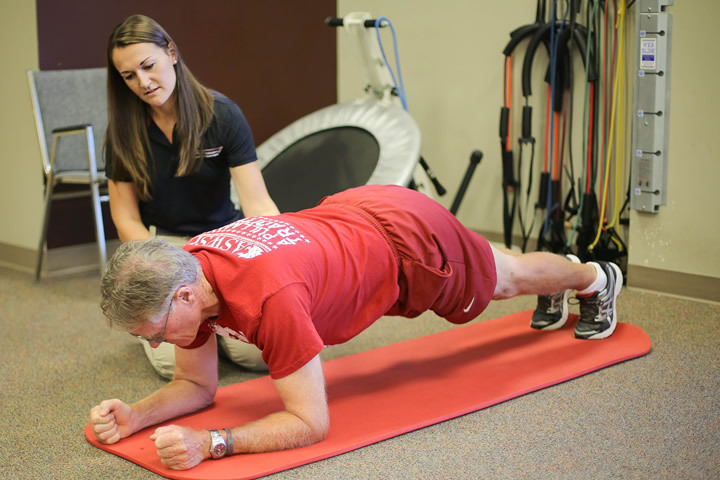 During the fall of 2012, I had total knee replacement surgery.After completing the appropriate physical therapy sessions and extended therapy sessions, along with 9 months of recovery time, my knee was still troubling me. My doctor recommended that I see Troy Vannucci at ProFormance Physical Therapy. I was Troy’s patient for 4 months. He carefully worked with me to diagnose the reason my knee was having problems. Troy not only understood the working of my knee and provided successful therapy that increased mobility and helped to ease my pain, but also demonstrated a depth of knowledge along with concern for the pain my knee exhibited. He is a thoughtful listener and cares about his patients. The program that he developed for my knee was different from my earlier therapy and successful in treating my knee. Although my knee is not perfect yet, with Troy’s help my knee has made tremendous improvement. I am able to carry on with normal activities that were limited before I saw Troy. I am grateful to Troy for his help. He is exceptionally talented in understanding his patients and developing a program that will improve their well-being. This was an excellent experience and everyone I came in contact with was courteous, professional and genuine. I feel much better! Thank you! This was my first time with PT so I did not know what to expect. I am so happy with the service and results. Laura was not only concerned with healing my body but also respecting my mental, emotional, and social well-being. Thank you. I had doubts that this would help. I was wrong, it has helped tremendously. Prior to injuring my back, I worked out ~2 hours at the gym everyday. After I herniated my disc the nerve pain was so bad in my back and leg that I could not sit down for more than 5 minutes. Working with Brandon Cridlebaugh, I was able to make a complete recovery and my back feels stronger than ever. He taught me proper mechanics and quickly earned my trust as the guy who was going to get me back to full health. Thanks to Brandon and the rest of the ProFormance staff I finally feel like I am 21 again. 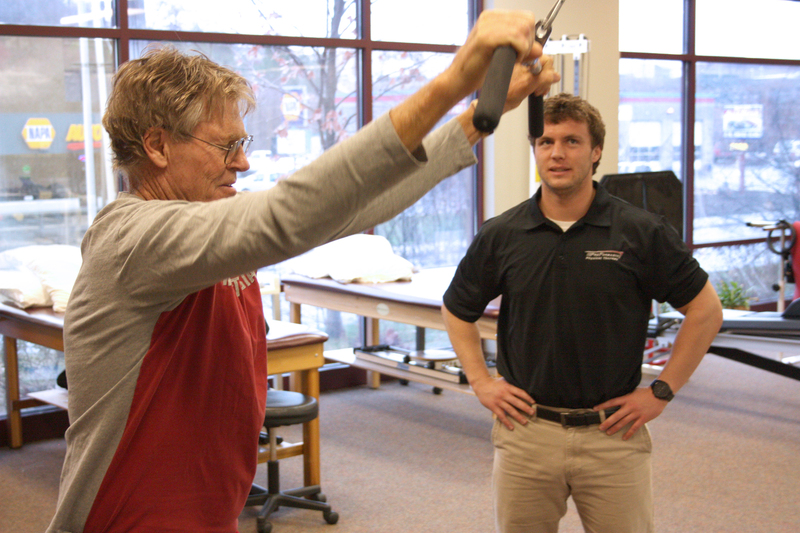 At ProFormance Physical Therapy, we believe that patients should receive the highest quality of care. 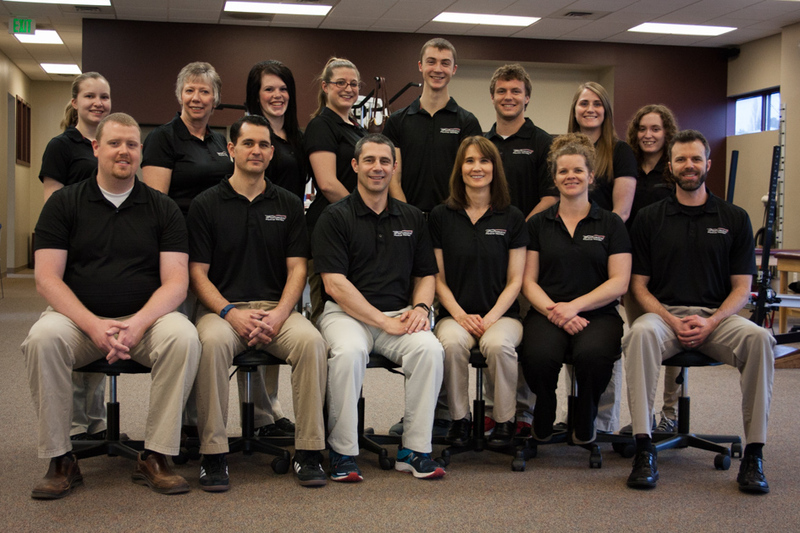 Our objective is to provide the community with individualized, personal and professional physical therapy services that are second to none. 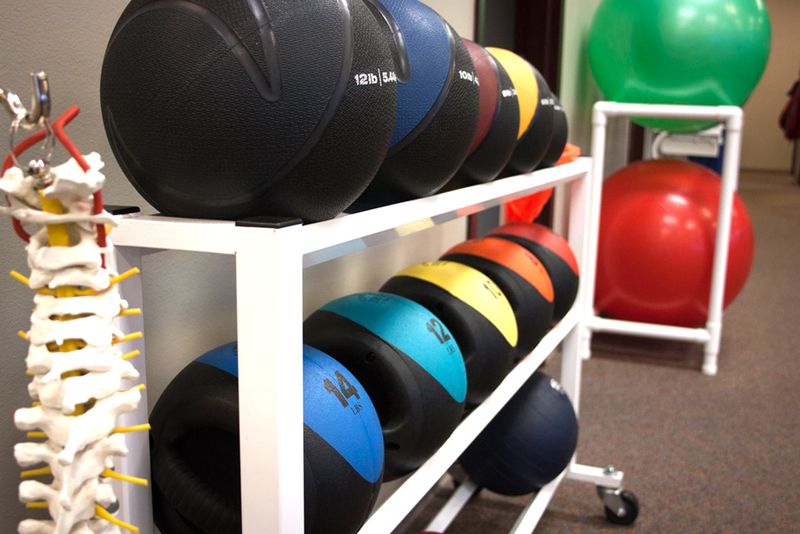 Our goal is to aid in your recovery by restoring optimal function and improving your quality of life. 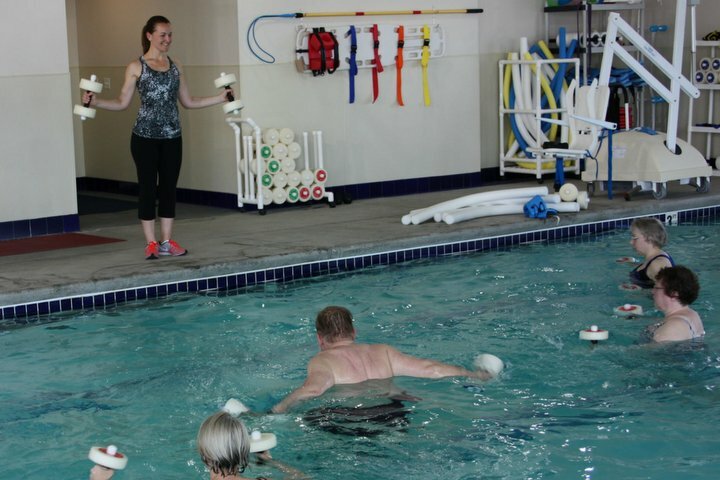 We strive to provide excellence in rehabilitation, injury prevention, and health & wellness. Our staff is enthusiastic, motivated and demonstrates compassion to each and every patient. We offer a variety of programs to meet your specific needs. 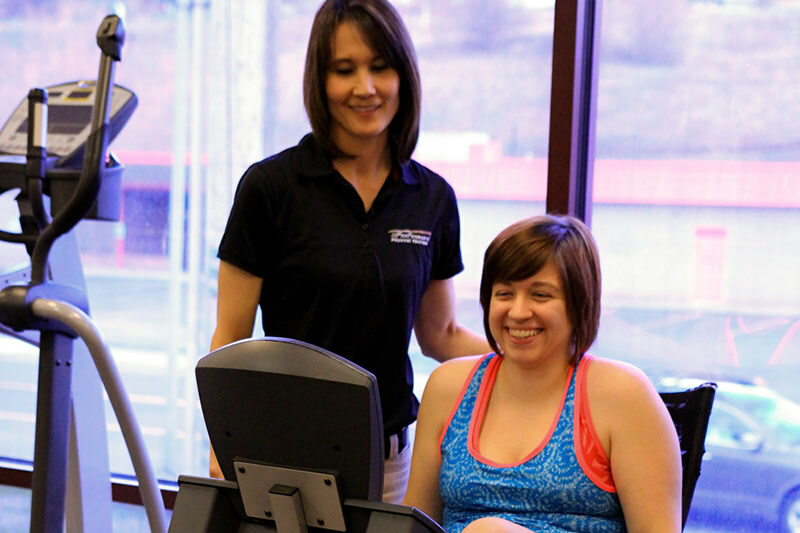 ProFormance's team of certified professionals are committed to your health and wellness. We offer a variety of programs to meet your specific needs.